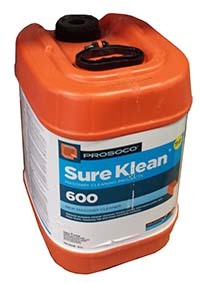 Sure Klean® 600 Detergent is a general purpose, concentrated acidic cleaner for brick and tile. 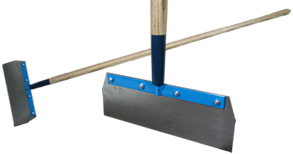 Dissolves mortar smears and construction dirt quickly, leaving the masonry clean and uniform. Sure Klean® Vana Trol® is a concentrated acidic cleaner for new masonry surfaces that are subject to vanadium (green staining), manganese and other metallic stains. 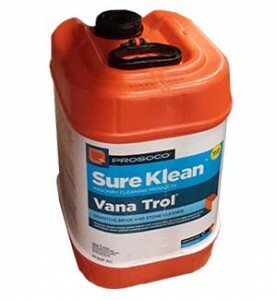 Vana Trol ® is designed to simplify rinsing and reduces potential for efflorescence. 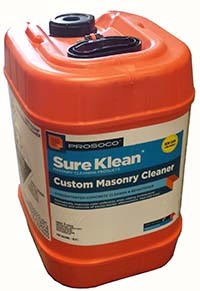 Sure Klean® Custom Masonry Cleaner removes concrete splashes, excess mortar, mud, retarders, heavy efflorescence, embedded stains, rust and surface soiling from textured custom masonry surfaces. This concentrated, general-purpose acidic cleaner improves the color and uniformity of most custom masonry and colored concrete. 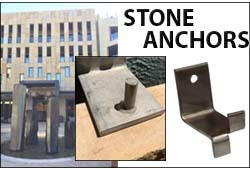 When used in strong solutions, Custom Masonry Cleaner can be used for additional aggregate exposure (“weathering”). 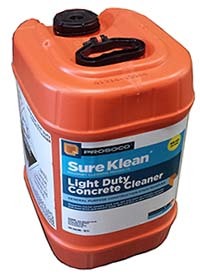 Sure Klean® Light Duty Concrete Cleaner is specially formulated to remove common construction and atmospheric staining from a variety of substrates, including smooth architectural and engineered concrete, custom masonry, concrete brick, manufactured stone and decorative pavers. This general-purpose, non etching acidic cleaner removes rust, mud, atmospheric dirt, mortar smears and other stains without altering the surface texture. Light Duty Concrete Cleaner adds depth to colors, brightens white matrices and exposed aggregate. Window Protection is a specially designed, fully laminated self-adhering film for temporary protection of glass windows and frames. 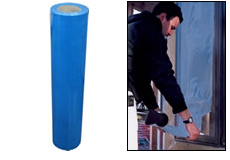 Easy to apply by hand without using cumbersome masking or duct tape; easy roll on application. Tear resistant film. 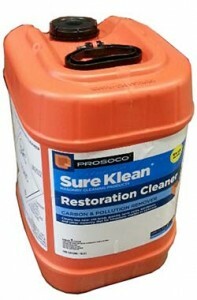 Sure Klean® Restoration Cleaner is a concentrated compound formulated as a “carbon solubilizer”. 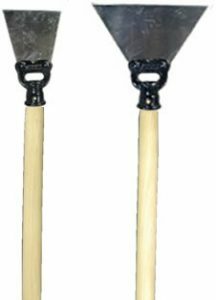 Used properly, it cleans brick, granite, sandstone, terra cotta, exposed aggregate and other masonry except limestone, marble or concrete. 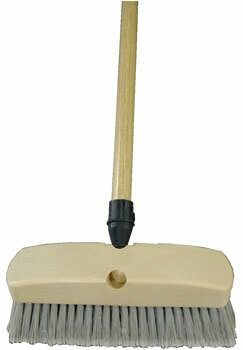 This product has been safely and effectively used to clean historic structures throughout the United States and Canada.